I'm sort of disappointed with how they handled the character, Patty Spivot. 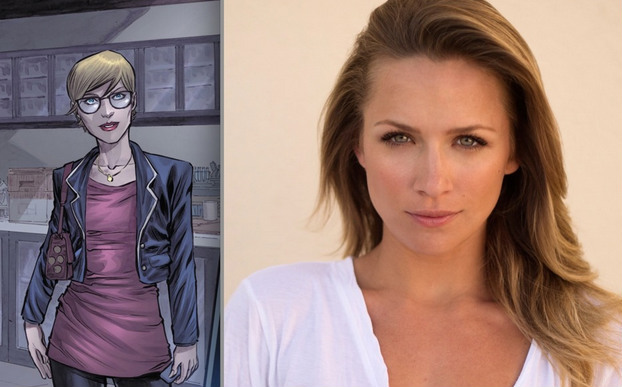 Admittedly so, I don't know much about her comic book counter part, other than, she was Barry Allen's girl friend. They broke up at the end of the first story arc I ever read. None the less, I do know relationships and TV, her intro to the show and relationship with Barry at first seemed forced and rushed. I honestly did not like her at all until the literal 'blind date'. It was like that episode finally made her find her place and overall everything felt much smoother. Before her jokes were truly cringe worthy, but after the blind date they became funnier. 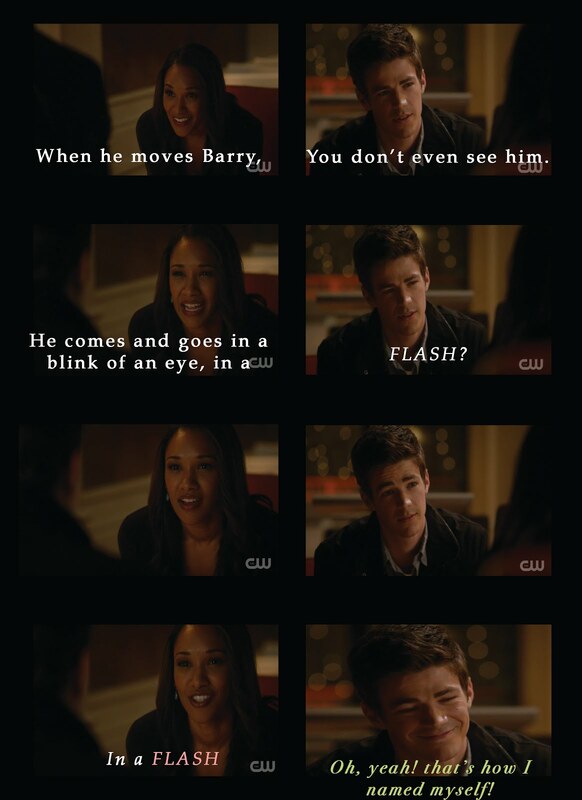 The relationship fell into place and the cute moments of her and Barry, or FLASH together became ultra cute! Her detective skills got better for everything, except all things around Barry. She had a blind spot around him, which she addressed shortly in the most recent video, "I was just so smitten with you, I didn't see it." One of my favorite episodes this Season was Running to Stand Still with Weather Wizard and Trickster. My favorite moment is when The FLASH and Patty are trap in the warehouse with the dreidels coming for them. FLASH turns to her and says, "Hold me," and she responds, "I'm seeing someone," and he replies, "Me too." Or something along those lines, it's sweet and their chemistry really comes out of the screen. I was SOooo Happy Barry was finally going to tell her last episode with Turtle, but then he didn't! Then I found out she was leaving... Ah, man! So disappointed! I was really liking the character and didn't want her to leave. 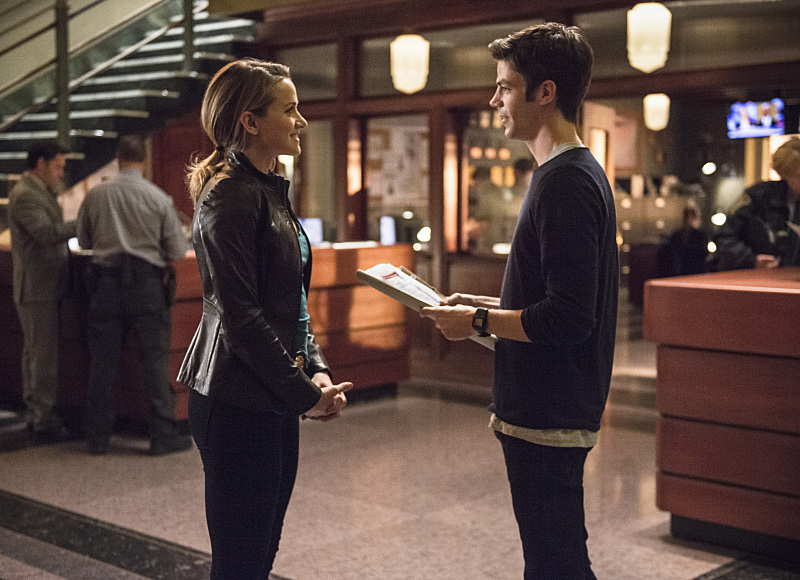 In this weeks episode, Patty tells Barry "I know you're the FLASH, just confirm it and I won't leave, I'll Stay." And Barry refuses to tell her the truth, Why? Maybe because she just told him how it was her dream since she was little to become a CSI and now that she caught her dad's killer she could finally make her dream come true! It would be selfish and cause problems of resentment in the future. Will I miss her? Yes. Do I think she will be back? Not during Season Two, or Three for that matter, but Season Four for sure! She needs to get her degree and then come back! I imagine Season Four being the season of the Ex's! Just Imagine Barry and Iris ready to give their relationship a try after stalling for so long and then Eddie Thawne suddenly comes back as Cobalt Blue, and Patty gets hired, or transferred as a CSI partner for Barry! So, will you miss Patty? Did you like her? Are you glad she's gone? Did you understand Barry's thinking when he didn't tell her? Do you think Season Four could be like I described above?